SD Fusion: I’m Sorry, Josh! The 31st August 2012 episode of Friday Night SmackDown! starts with Lilian Garcia introducing Sheamus and him making his way to the ring, where he talks about fighting Triple H and how he doesn’t know what Triple H’s future holds, but that Triple H holds his respect and the respect of the WWE Universe. Damien Sandow’s music hits and he makes his way out interrupting Sheamus from saying much more, where he tells the WWE Universe that every week Sheamus drags the unwashed masses further down into ineptitude. Sheamus says that he is sure that Sandow can talk for the next twenty minutes, but that the reality is that he and everyone else have a life, so Sandow should do everyone a favour and shut up. If he wants to keep on enriching lives with this meaningless garbage, Sheamus suggests that Sandow enter the ring and say it to his face. Sandow says that as much as he would love to thrash it out intellectually with Sheamus, he has deemed him unworthy of his time, therefore he has now saved him from an intellectual trashing that he was about to receive, so he will now take his leave. Booker T’s music hits and he makes his way out onto the stage before Damien Sandow can leave however, and he says that he actually agrees with Sandow. He says that nobody wants to see an intellectual thrashing, but he says that they do want to see a physical trashing. 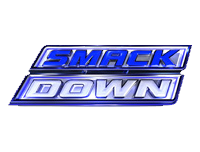 He says that this episode may not be in Ireland, but they are in Green Bay, Wisconsin, so for the first time on SmackDown!, he’s making the match of Sheamus facing Damien Sandow. Next, Rey Mysterio takes on Cody Rhodes in a match which sees Mysterio get the victory, when he catches Rhodes in a pinning combination for the 3-count. Afterwards, Rhodes attacks Mysterio and attempts to remove his mask until Sin Cara hits the ring and ends up putting Rhodes in the ropes, allowing Mysterio to hit a 619, after which Cara places a Sin Cara mask on Cody Rhodes. After showing one of the Anger Management videos from Monday Night Raw (click here for our Raw report) and a video recapping the Divas Battle Royal to determine the Number One Contender to the Divas Championship two weeks ago on Raw, Eve Torres joins commentary as Natalya is pitted against Kaitlyn in a match which sees Kaitlyn get the victory, when she captures Natalya in a small package for the 3-count. After a video recapping the events on Raw involving Vickie Guerrero and AJ, Matt Striker interviewing Booker T and Vickie Guerrero about the aforementioned events, a video recapping the events on Raw involving CM Punk and Jerry “The King” Lawler, and another Anger Management from Raw, Sheamus goes against Damien Sandow. The match sees Sheamus get the victory as a result of a count-out, when Sandow flees up the ramp, prompting the referee to count him out. After a video recapping the brawl involving various tag teams last week, Darren Young and Titus O’Neil take on Justin Gabriel and Tyson Kidd in a Tag Team match which sees Young get the victory for his team, when he hits Gabriel with the double-knees to the gut for the 3-count. After a third Anger Management video from Raw, and a video recapping the match between Randy Orton and Alberto Del Rio last week, Josh Mathews interviews Alberto Del Rio in the ring, where Del Rio says that he’s going to defeat Sheamus at Night Of Champions too, but that what Kane did to Mathews at SummerSlam is nothing compared to what Del Rio is going to do to Mathews right now. Before Del Rio can actually do anything however, Kane’s music hits and he makes his way to the ring, prompting Mathews to quickly bail out to ringside. In the ring, Kane introduces himself and says that as part of his Anger Management programme, his therapist has asked him to come out and apologise to Josh Mathews. He says that he is sorry for throwing Mathews over a barrier at SummerSlam, and thanks him in playing a role in his recovery. Teddy Long’s music hits and he makes his way out to the stage, where he says that Del Rio should hope that Kane is getting good grades in his Anger Management class, as he will be facing Kane right now. The match sees Del Rio get the victory, when he takes advantage of the distraction provided by Ricardo Rodriguez and hits Kane with a Backstabber for the 3-count. Afterwards, Kane is upset at what just occurred, and takes his anger out on Josh Mathews by throwing him to the ground and then into the ring as he apologises at the same time. As the crowd chant “Beat up Cole”, Kane enters the ring and hits Josh Mathews with a chokeslam and follows it up by setting off his ring pyro and then leaving the downed Mathews in the ring. After a video recapping the events involving Triple H on Monday Night Raw, Dolph Ziggler (accompanied by Vickie Guerrero) is pitted against Randy Orton in a match which sees Orton get the victory, when he hits Ziggler with an RKO for the 3-count. Orton celebrates in the ring as SmackDown! goes off the air.